California is still burning and smoking ! 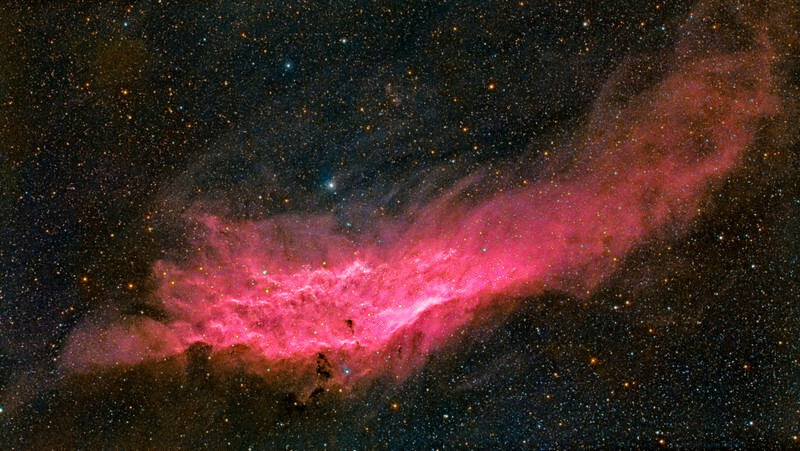 California nebula NGC 1499 a hot glowing mass of hydrogen and dust. Image taken by Lynn Hilborn, WhistleStop Obs,Grafton,Ontario on October 19 and November 3, 2015. Canon 6D modified and TS71 telescope at f5. 2.5 hours of Ha with 12nm fullframe Ha filter 3200 ISO 30 min x5, and 2 hours of colour 12x 10min at 1600 ISO.